The FBI has issued a consumer notice warning that internet-connected toys could pose a privacy and contact threat to children, because of the large amount of personal information that may be unknowingly revealed. The FBI is urging consumers to consider cybersecurity before introducing smart, interactive and internet-connected toys into their homes or private environments. 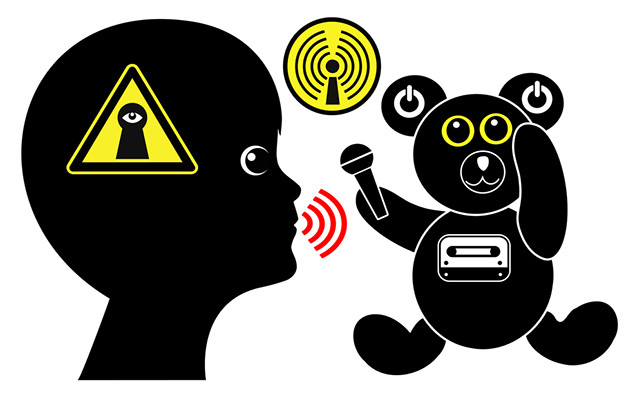 Similarly, “the collection of a child’s personal information combined with a toy’s ability to connect to the internet or other devices raises concerns for privacy and physical safety.” Personal information, such as a child’s name, date of birth and pictures, is often provided when creating user accounts. Furthermore, companies collect large amounts of data, including past and current physical locations, internet use history, and internet addresses/IPs. The FBI warns that the exposure of this kind of information can lead to child identity fraud. Plus, the misuse of data such as GPS location, known interests and visual identifiers from videos or pictures, could lead to exploitation or contact risks. Use strong and unique passwords when logging in or creating user accounts. The Children’s Online Privacy Protection Act (COPPA) does establish requirements for website and online service operators geared toward children under 13 years old. For COPPA rules, visit this site. Also, on June 21, the Federal Trade Commission (FTC) updated its rules to comply with COPPA. Those rules can be viewed here. If you think your child’s toy might have been compromised, you can file a complaint with the Internet Crime Complaint Center at www.IC3.gov. To read the full public service announcement, visit this site. If you have questions, the FBI says you should ask your local FBI field office. A list of local field office locations is located here.